Jim Furyk was gracious in defeat at the 2018 Ryder Cup. If we learned anything from the 2018 Ryder Cup, there are some gracious losers and some sore losers in professional golf. Jim Furyk sure seems like the former. 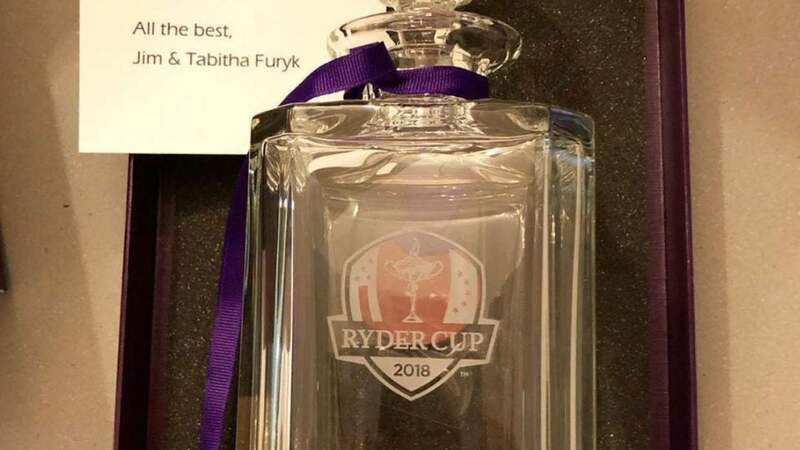 Furyk sent a decanter to the members of the European Ryder Cup team, made clear from this Instagram post by Alex Noren. Accompanying the glassware was a note of thanks for helping create such a rousing competition in France last fall. Noren was keen to post his thanks on social media, but not before a little celebration with his daughter Iris. Thank you @jimfuryk and Tabitha for the best gift ever according to me and Iris! Gifts following the Ryder Cup is a very typical captain gesture, but are mostly done between teammates and not opponents. Mark this down as another goodwill moment between the two teams. Despite competing against each other for one week every two years, the collective of professional golfers remains very close the other 103 weeks during that span.